Jeri Ryan has explained the story behind a new Mortal Kombat trailer on the internet. Midway's board members are now being sued by employees for corporate waste that cites disastrous financial advice as the cause. 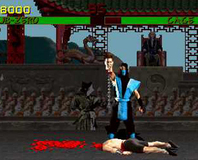 It's been revealed that publisher-in-trouble Midway may be trying to get rid of the Mortal Kombat franchise in an effort to stay afloat. 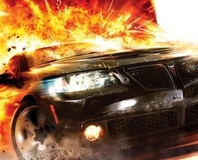 Ubisoft has officially confirmed that it will be publishing The Wheelman instead of Midway, setting the date in March. 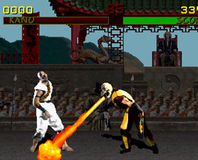 Midway has, despite flagging sales and struggling finances, announced a new Mortal Kombat game. In a further effort to reduce losses, Midway has closed its Austin studio, cancelled some more games and culled its workforce by 25 percent. 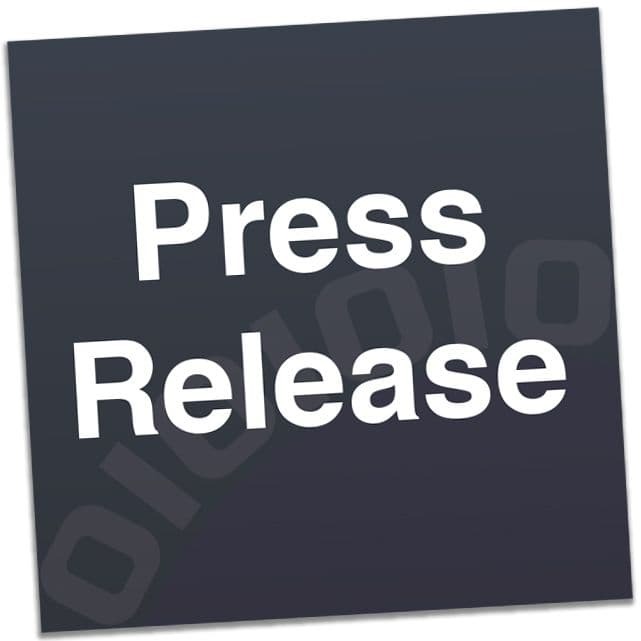 Midway has revealed that the New York Stock Exchange has warned the company that its stock may soon be de-listed. 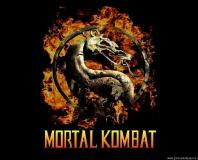 Mortal Kombat 9 could be very much a mature return to form for the series according to series creator Ed Boon. 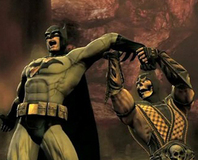 Next Mortal Kombat game is MK versus Batman? It's just a rumour right now, but with info flying every which way at the moment it also happens to be the most solid rumour there is. Midway, which lost $78 million in 2006, has announced escalating losses for last year, but remains hopeful for the future. Advertiser pressure becomes more of an issue after EGM reveals three publishers who no longer back the mag after negative reviews. Crysis and Unreal Tournament 3 were two of the biggest and most anticipated games this year - so why aren't they selling very well? Harvey Smith, designer of games like Deus Ex and Thief: Deadly Shadows, has left Midway Austin after being critical of his own project, BlackSite: Area 51. With a new instalment just over the horizon the UT modding scene is set to explode all over again, so we go hands-on with the public beta to see what the fuss is all about and if the game can possibly live up to its ancestors. Dan Boaden takes to the streets of Hong Kong with pistols akimbo and sets out to review John Woo's Stranglehold. Will he come back in one piece with good news or will the game prove more limp than a knee-capped bad guy? Find out within! UT3 PS3 delayed until next year? Midway has said that Unreal Tournament 3 may be delayed on on the PS3, pushing the game back to a 2008 release. Or not. It isn't sure yet. Been polishing your keyboard in preparation for John Woo’s Stranglehold later this year? Well, now you can start doing something more productive and get your PC specced up beforehand. Stranglehold, the John Woo and Chow Yun Fat action game, is revealed to only be twelve hours long. The real issue however is; is 'sandboxy' a word? There hasn't yet been a decent action game on the Wii that can successfully harness the power of the Wiimote. Can Mortal Kombat: Armageddon be the first to manage it? Let's find out.